On May 2, Kathleen Logothetis offered a look at the Mountain Road–the location where Stonewall Jackson was accidentally wounded by his own men during the Battle of Chancellorsville. 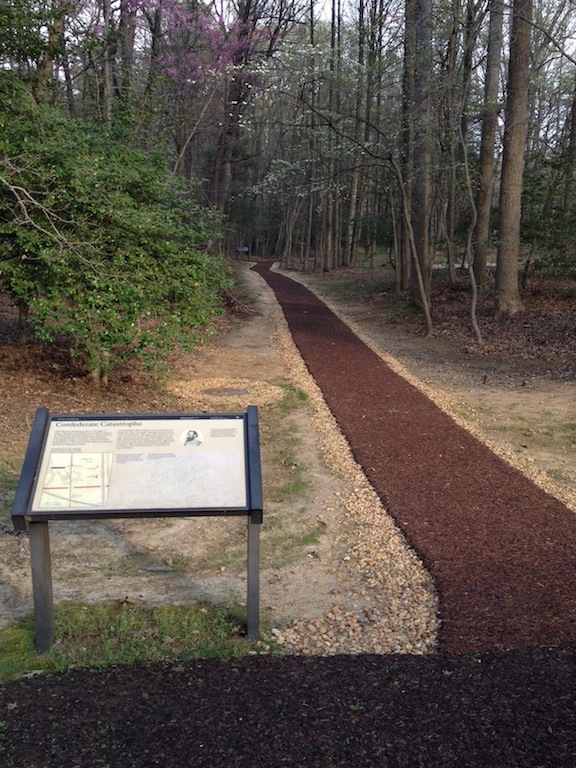 As visitors to Chancellorsville this spring may have noticed, however, the Mountain Road now has a new look…. When the Mountain Road was restored a few years ago, the park’s resource managers knew that erosion might be a concern because the road is so heavily traveled and there’s little drainage in the area. Turns out they were right. So, in an attempt to mitigate the impact of the erosion and protect the roadbed, the park has laid down “rainbow turf”–a rubberized surface made of recycled tires. Because the new path runs atop the historic roadbed, it does no damage to the roadbed itself. Visitors can still follow the path Stonewall Jackson took on his fateful ride down the Mountain Road, secure in the knowledge that the resource is well-protected. This entry was posted in Battlefields & Historic Places, Preservation and tagged Chancellorsville, Jackson wounding, mountain road, Stonewall Jackson. Bookmark the permalink. 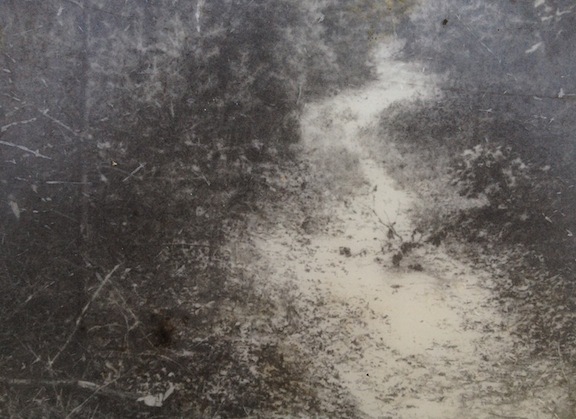 What is the source of your circa 1860s view of the road? Is this the full image as originally published? The photo comes from the park’s wayside at the far end of the road. The 1860’s photo shows just how constricted some of the area road network could be. It pays to keep this picture in mind as you read about Grant shifting whole corps around, sometimes at night, during the fighting at the Wilderness and Spotsylvania Courthouse. That’s a great point, Stephen. The soldiers getting into place the night of May 11-12 called it the worst march of their lives, and much of their discomfort was a direct result of the effect the poor weather had on the poor roads.